Boni has been creating self improvement tools and instructing classes for over 30 years. You can use the self improvement, empowering tools here on your own or attend any of the classes for more in-depth understandings and clearings. Start where you feel comfortable and continue on as you are ready. Every step you take brings you closer to your authentic self and a happier you. The Akashic Records are the stored information of all the thoughts, words, deeds and actions of you throughout all time. They are accessed using a prayer. Akashic Record Classes start at Level 1, Learning to consult your own Akashic Record. Level 2, consult others records, Level 3, open yourself up to creativity, Level 4, consult for others professionally. Know what makes you tick and what ticks you off! This class assists you in deciding exactly what you want. It teaches you to focus on the things and relationships you want. Identifies distractions or blocks between you and what you want. And teaches you how to uproot and replace your unproductive belief with an empowering belief that supports how you want your life to be and feel. These CD's are hypnotic in nature so they can work directly with your subconscious mind. They are ACTIVE since you are the one choosing what you want to focus on. Claim Your Life... will help systematically reveal your subconscious beliefs, uncovering them so they can be uprooted and replaced with healthy beliefs that empower you and support the changes you seek. This process will put you in the power seat of your life, ushering you into the ideal life you deserve. 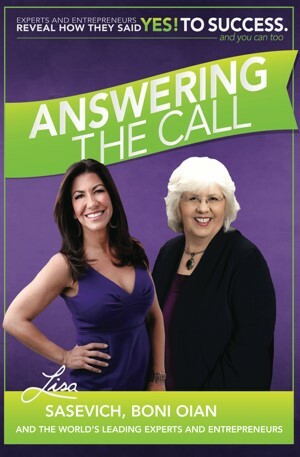 30 plus leading experts and entrepreneurs tell you how they are answering the call so you can step up to your calling. Boni Oian our local Life Navigator includes with your order of the book a 15 minute personal session with her so you can see where you are standing on your path. Boni assists you is clearing the blocks that are in your way from the relationships and career you want. Determine what wealth means to you and access the wealth you desire. 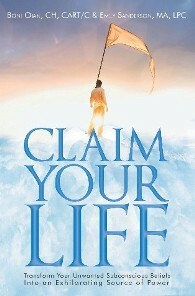 Renewed, Re-energized, Inspired to life the life of your dreams!